At 77 Plastic Surgery, you will find a rare combination of exceptional patient care from our highly trained staff, medical expertise from our internationally recognized, Board Certified plastic surgeons, and cutting edge procedures at our state-of-the-art medical spa and surgery center. Dr. Larry Fan is an award winning, Harvard trained leader in aesthetic plastic surgery and the founding director of 77 Plastic Surgery. Dr. Fan is committed to achieving the highest levels of excellence and the very best aesthetic results. Dr. Fan was born in Paterson, New Jersey, and raised in Southern California. He graduated with highest honors from Harvard College and received his M.D. from the University of California at San Francisco. 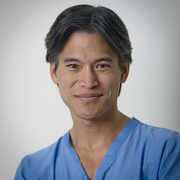 He subsequently completed his surgical training in General and Plastic Surgery at UCSF. Dr. Fan also completed an advanced fellowship in aesthetic surgery at the renowned Ninth Peoples Hospital in Shanghai, China, and a preceptorship in post-bariatric body contouring with Dr. J. Peter Rubin at the University of Pittsburgh Medical Center. He is a former member of the staff at UCSF. He is Board Certified in Plastic Surgery by the American Board of Plastic Surgery and is a Member of the American Society of Plastic Surgeons (ASPS). This is a 30 year-old Asian female who presented with naturally small breasts. She desired larger and fuller breasts and underwent breast augmentation. This is a 29 year-old Caucasian female who presented with naturally small breasts. She desired enhancement of her breasts and underwent breast augmentation. This is a 33 year-old mother of 4 who presented with naturally small breasts and loss of fullness after her pregnancies. She desired to restore breast fullness and size after having her children and underwent breast augmentation. Sólo tienes que subir tres fotos estándar ahora para ver una simulación 3D en tu próxima cita con Larry Fan. Visualiza tu cuerpo o rostro actual en 3D antes de la consulta y obtén acceso desde casa a tu nueva imagen después de la consulta para poder compartirla con amigos y tomar una mejor decisión. Después de la consulta, Larry Fan puede darte acceso para ver tu "nuevo yo" desde casa, con tu propia cuenta Crisalix. Esto te permitirá compartirlo con tu familia y amigos o con cualquier persona a la que quieras pedir opinión.